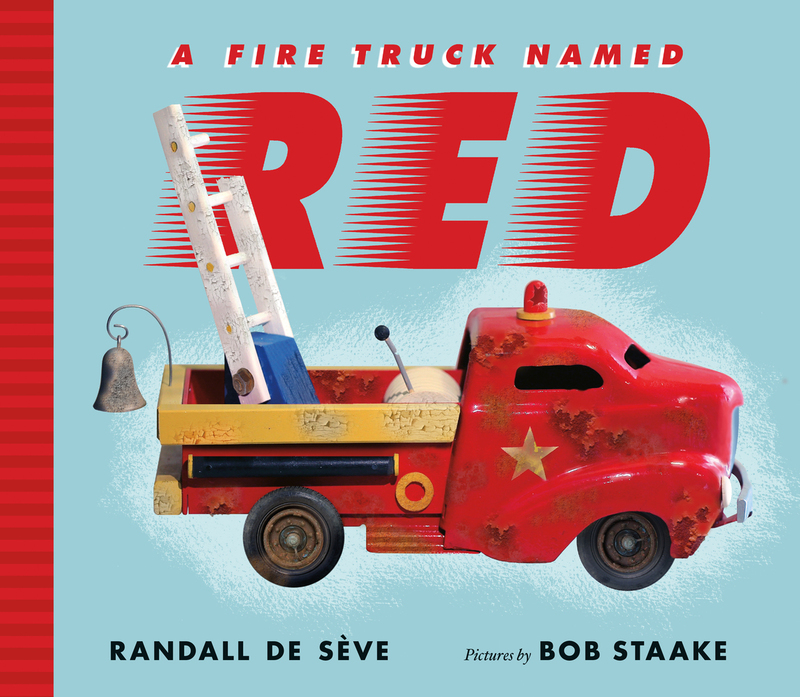 With A Fire Truck Named Red, Randall de Sève and Bob Staake are perfectly paired for a superb picture book that easily could have been overly sentimental in less talented hands. 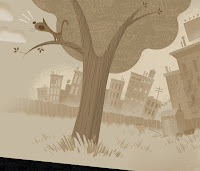 A birthday present gone (almost) wrong becomes a journey and an adventure that connects a boy and his grandfather and opens up a whole new world of play. 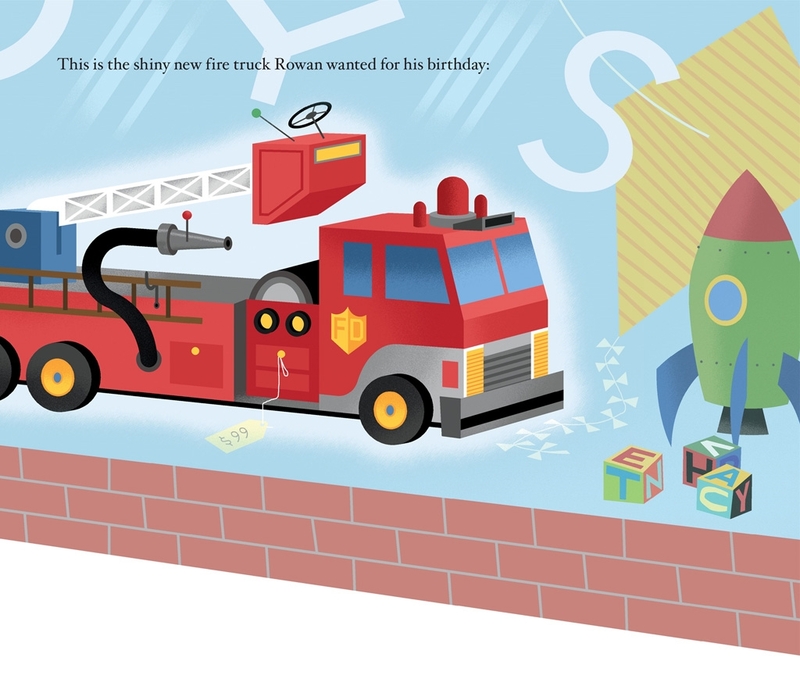 With his birthday approaching, Rowan has his eyes on a shiny new ladder truck with all sorts of nifty features. This is not the fire truck he gets. 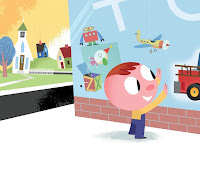 Instead, he gets Red, his grandfather's well-loved toy truck. Papa tells Rowan all about Red, but Rowan is "busy trying not to cry." 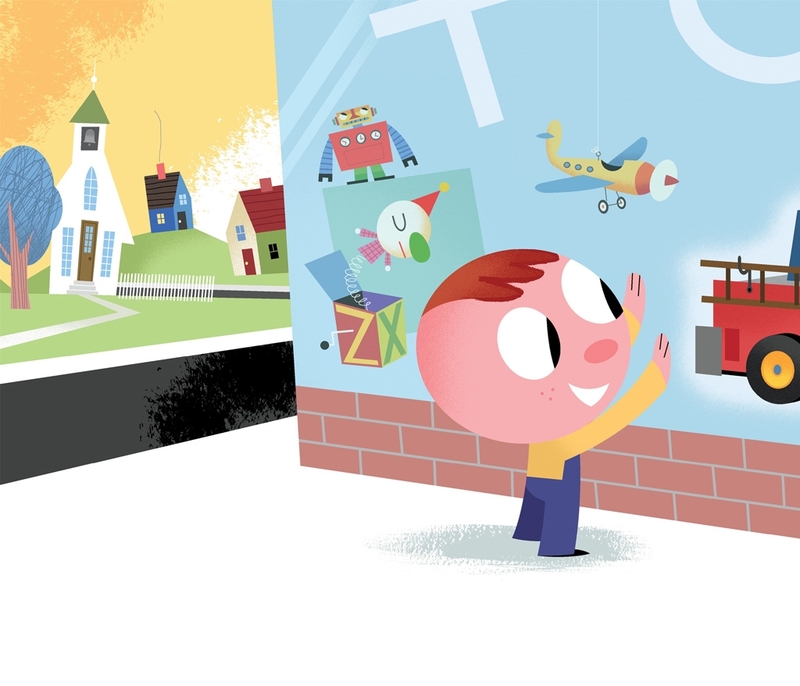 As Rowan and his Papa spend time in his garage fixing up Red, Papa tells him about all the adventures he and Red used to have. As Papa's stories get more and more spectacular, Rowan is more and more engrossed - and maybe even just a bit excited and happy. 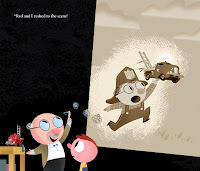 Staake illustrates Papa's stories in sepia tones, and the glasses and round nose make Papa and his younger self immediately recognizable. 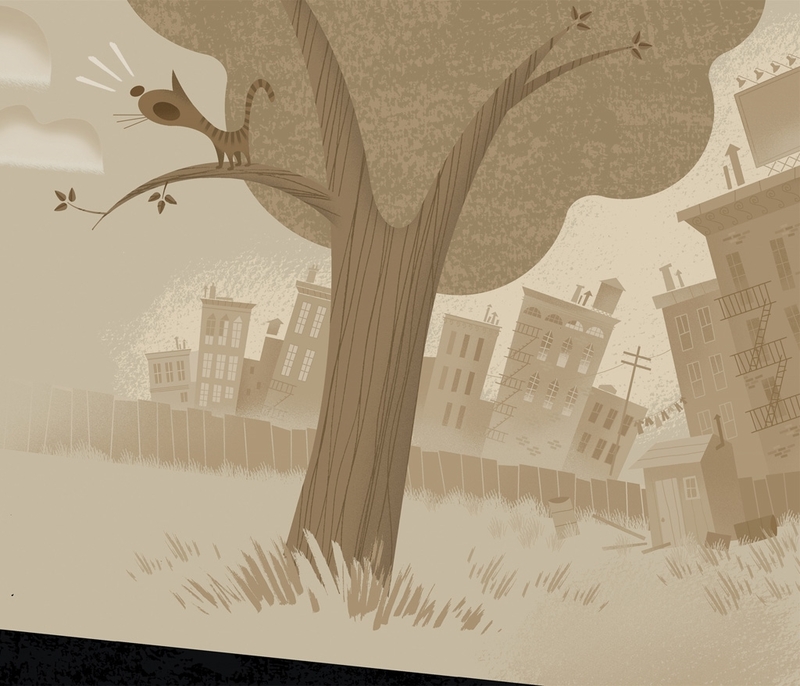 As Papa's stories get bigger and bigger, the sepia toned illustrations of his memories take up more and more page space until finally, magically, wonderfully, Rowan is pulled into the memories. Where Papa and Red were a team, now Papa, Red and Rowan are a trio. 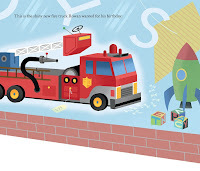 A Fire Truck Named Red ends with Papa handing over a shiny, spiffed up Red to a smiling Rowan who thinks to himself, "We could be a great team." The final illustration shows that indeed, they are.